Is this in stock anywhere? Looks like CutleryShoppe and Knifeworks have some in stock. 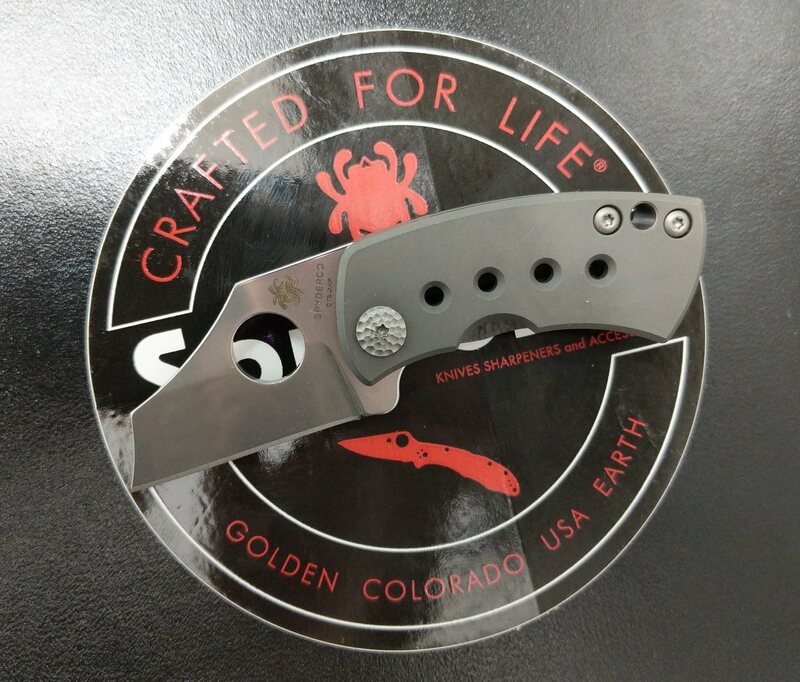 Ordered mine from Spyderco. Four hours latter got a tracking #. Arrived yesterday from GP, a very nice tiny knife. Aww its a cute little fella Shorter than a manbug, though I wouldn't necessarily say 'smaller'. I'm curious how it will be for left handed carry. I'm pretty terrible with my left hand but I can get my thumb past the lock bar and open it one handed, not sure I could close it with my left without some practice. With the right it's very easy to thumb flick open and close one handed. My only concern is the lock bar relief, the material is very thin so it will be interesting to see how it holds up over time. That IS thin. It's titanium though so I think it will be ok.
Just ordered one. Looks like the perfect coin pocket backup! 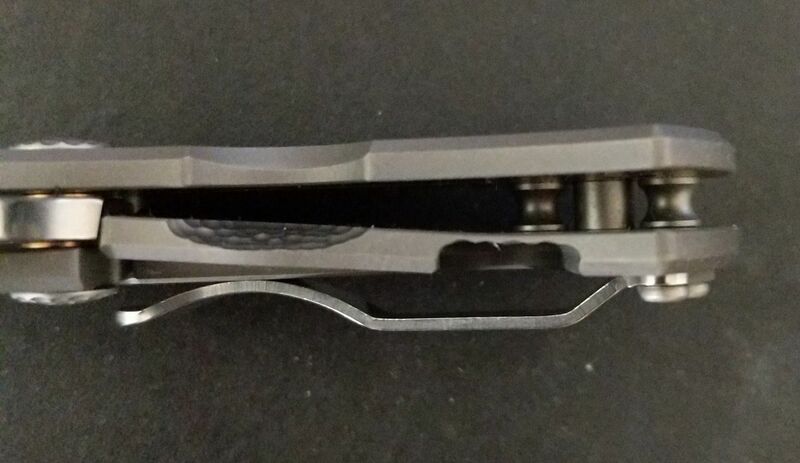 I like the texturing on the pivot pin and lock tab. Finally got mine. It's even smaller in person If anything the pics make it look bigger. Is the lock face heat treated in any way? anyone know if those clip screws are T6? havent had time to check yet. I just got mine yesterday, pretty cool little blade! Im liking this more than I thought I would. Especially the finger grooves on the blade. You can get a few different and useful grips with it. Wish my camera was working, I'd post a pic of it next to my dragonfly. It's so tiny! It's got an almost mirror finish too, a slight stonewash. Wow, those comparo pics really helped me understand the size of it. Thank you! Looking forward to your impressions. Can't get into this one. Just reminds me of an ugly, extremely overpriced box cutter. Yeah it's tiny for sure. I wasn't very interested in it at first but I'll probably end up with one at some point just for the fun factor.